Less than 5,500 affordable homes were completed in 2017-18, compared with an average of over 10,000 per year in the last decade. 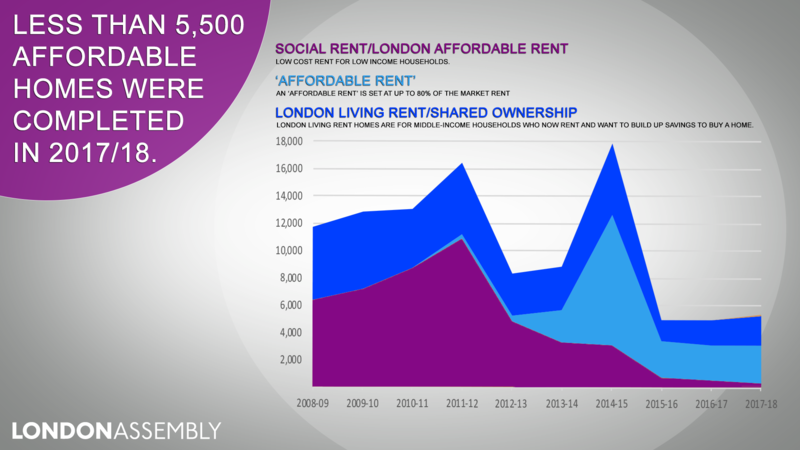 Almost half of London’s need is for social rent, but only 14 per cent of all home starts so far in this Mayoral term are for social rented homes. The Mayor has received £4.82bn to deliver 116,000 affordable home starts by March 2022. 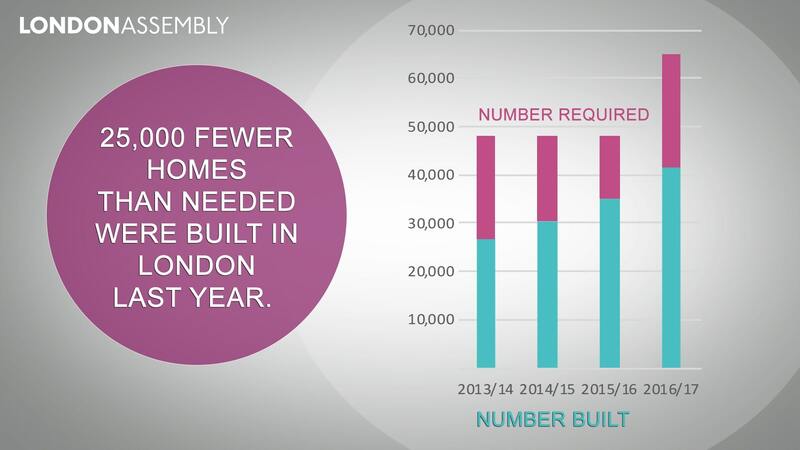 Today, the London Assembly Housing Committee, publishes its new ‘Affordable Housing Monitor’, an annual report which clearly shows the Mayor’s record in delivering affordable homes for the capital. “The Mayor is letting down Londoners, he promised us more affordable housing but so far has fallen very short of his promises, particularly on social housing which is our greatest need. “With young and lower-income people suffering the most from the housing crisis, we can’t wait much longer for his policies to kick in. “The Mayor must fulfil his pledges. It is in his power to ease the housing crisis and meet his targets – especially as he has received new funding. Today, the Committee will analyse the monitor, the Mayor’s funding programmes and delivery of affordable homes in the last year. The affordable housing delivery meeting will also consider the likely impact of his new funding for council homes. The meeting will take place on Wednesday, 28 November at 10.00am in Committee Room 5, City Hall (The Queen’s Walk, London SE1). The assessment of London’s housing need has been updated under this Mayoralty to show a need for 66,000 homes annually from 2016 to 2041, although the need assessment which applied in 2016/17 was lower (42,000). This is all net additions to London’s total housing stock. The Mayor sets the London-wide planning regime governing the number of market homes which are built but does not control the number of homes built for the private market. Recent figures show social rented home starts are at 3% nationally. Starts usually increase towards the end of the financial year. At this stage last year about 700 starts had been delivered and the Mayor just managed to meet his final target for the year. Sian Berry AM, Chair of the Housing Committee, is available for interviews. Please see contact details below. According to recent reports, the cost of transforming the London Stadium has risen from £272 million to £323 million. The Government has announced a consultation on the ending of section 21 of the Housing Act 1988. The Housing Committee will discuss the Housing First model.